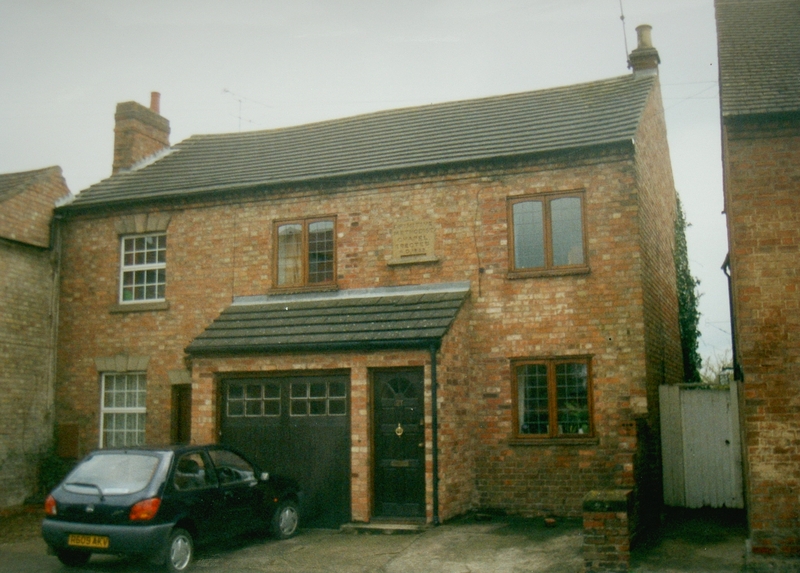 Pendyke Street Primitive Methodist chapel in Southam was opened in 1853 and closed in the 1950s. At the time of Keith Guyler’s photograph in 2000, it had been converted into two houses, 20 and 21 Pendyke Street. On Google Street View in July 2009 they retain a stone table proclaiming “Primitive Methodist chapel erected A.D. 1853”. Opening sermons were preached by Mr Edmonds, a merchant, and brother Martin, both of Banbury. Mr Maunder of Banbury gave the inscription stone and Dr Montgomery of Southam made the plans and superintended the work.